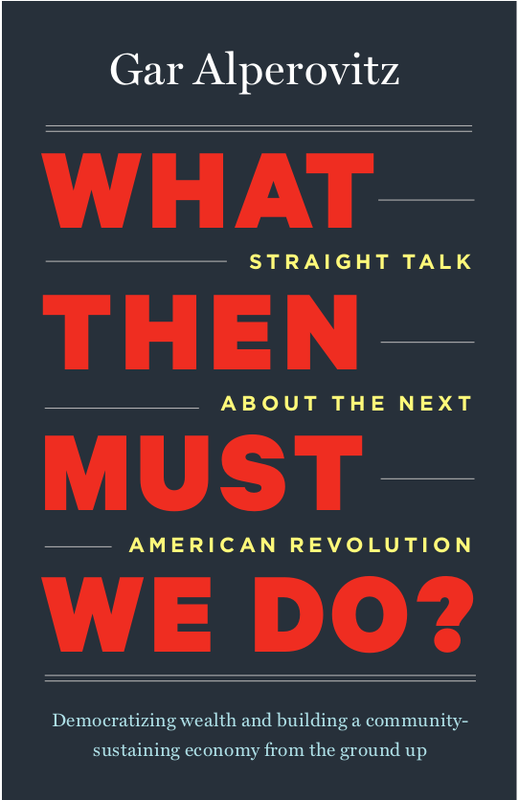 We Live In A Political World: #137 / What Then Must We Do? 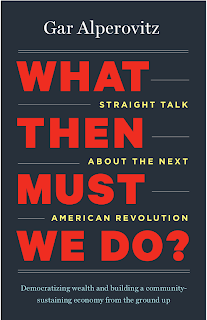 #137 / What Then Must We Do? I found this new book by Gar Alperovitz to be very engaging. Its informal style is probably what does it. I made lots of marginal notes as I read through its 160 pages (not counting the notes), and I ended up feeling like I was having a spirited conversation with an extremely well-informed and deeply concerned fellow citizen. What are we going to have to do to repair (or replace) our "crumbling American system?" We are going to have to do something, because our problems are not "self-correcting." This book got me thinking - and thinking positively! I recommend it. PS: Gar Alperovitz will speaking at Kresge College, on the UCSC Campus, on Thursday, May 30th. starting at 7:00. Sponsored by Transition Santa Cruz.